Rhetoric takes place in the context of an audience; the rhetor seeks to begin at a starting point of agreement with the audience, and connect to points of disagreement through persuasive demonstration and argumentation. Chaïm Perelman completed his doctorate in Philosophy in 1938, fought the Nazi occupation of Belgium during World War II, and after grappling with the obscenity of Nazi ideology began to study the nature of justice through an enquiry into the rational basis of ethical behavior. He found the existing scholarship in this area wanting, and ultimately came to the conclusion that it was possible there is no rational foundation to human values. "Indeed, as I entirely accepted the principle that one cannot draw an 'ought' from an 'is' - a judgement of value from a judgement of fact - I was led inevitably to the conclusion that if justice consists in the systematic implementation of certain value judgements, it does not rest on any rational foundation"
In 1947, Perelman formally partnered with Lucie Olbrechts-Tyteca, a non-academic aquaintance whose practical strengths nicely complemented Perelman's grasp of concepts. They began work on The New Rhetoric: A Treatise on Argumentation, which they completed ten years later, in 1958. The "New" rhetoric was informed by a rigorous study of practical discourse regarding values-centered argument over legal, political and philisophical topics. Perelman realized that they had unwittingly rediscovered neglected aspects of Aristotle's use of topoi and epideictic rhetoric. The focus of this new work was on the use of informal logic in argumentation, a branch of rhetoric that had been quite neglected since the scientific revolution had imposed a Cartesian perspective on philosophical enquiry. A Definition of "The New Rhetoric"
One of the primary acheivements of The New Rhetoric was its reexamination of Aristotle's third branch of rhetoric, the Epideictic. In contrast with deliberative rhetoric that considers future action or forensic rhetoric which examines past events, epideictic rhetoric focuses on taking stock of relative values grounded in the present. 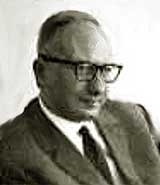 Perelman observed that where the effectiveness of deliberative and forensic rhetoric is measured by how well the rhetor builds upon matters of fact, the audience evaluates epideictic subjectively by evaluating the skillfulness with which the rhetoric was constructed and delivered. In other words, where opposing points of view argue over matters of fact in forensic and deliberative rhetoric, in epideictic rhetoric, the rhetor and the audience argue over matters of value. Thus, in epideictic rhetoric, the audience is of primary importance and requires special consideration. The audience is the counterpart of the rhetor, and the rhetor shapes his or her internal representation of the subject into a form most acceptable and appropriate for the audience. Furthermore, the actual audience receives rhetoric that has been shaped by the rhetor's understanding of two idealized audiences: the Universal audience and the Particular audience. The Universal audience is the largest possible audience which has the need to hear or potential to agree with the rhetor's message. Typically, this audience is comprised of "all reasonable and competent people." The Particular audience is the audience the rhetor is most specifically addressing and is generally the physical audience that is present. Alan Gross and Ray Dearin, in their book, Chaïm Perelman, clarify the nature of and the difference between the universal and the particular audience: "All rhetorical audiences, both universal and particular, are constructed, the difference being that in the case of the former, speakers aim at transformation or reinforcement in the areas of fact, truth and presumption, while in the latter, they aim at trasformation or reinforcement in the area of values." In other words, the universal audience is to be addressed primarily with formal logic, but the particular audience can also be addressed with informal logic. Thus, a perfectly rational argument can gain the complete assent of the universal audience and a perfect appeal to commonly shared values will have the complete assent of the particular audience. A final recognition of the nature of audience is that some audiences are not homogenous enough to be considered a single audience, but are Composite audiences. A composite audience is an combination of particular audiences that rhetors often face (ie: students, parents and teachers, all together) and that are sufficiently heterogenous that a rhetor needs to address them specifically, sometimes even repeating parts of the message in the forms required to reach each segment of the composite audience. Perelman distinguishes between Demonstration and Argumentation; demonstration proves principles logically, whereas argumentation aims only to increase assent in the mind of the audience for the ideas of the rhetor. Perelman's audience centered rhetorical model says rhetoric is not only being aimed at the audience, but it gets from the audience a referential frame for the argument, a dialogical process which grounds the rhetoric in a perspective most likely to get assent from the audience. Argumentation and informal logic allow a rhetor to address topics demonstration and formal logic cannot. Therefore, each form of rhetoric requires different techniques. Rather than demonstrate exclusively from a factual perspective, such as one does in rational arguments, the rhetor should instead focus on constructing an argument that will be completely reasonable to the audience. The job of any argument is to start the argument in total agreement with the audience and to keep that agreement all the way through to the final conclusion. Therefore, an argument must begin at a point where the audience and the rhetor agree. There are two kinds of starting points; those grounded in accepted reality and those grounded in the audiences sense of the preferable. These starting points can be further broken down. Reality-based starting points can be either or Truths or Facts. Truths are principles or ideas that are held universally and that connect facts together. Facts are discrete ideas that are unversally accepted. Presumptions are concepts the reflect the universal audiences expectation of what the true nature of reality is. Presumptions are only acceptable as long as contradictory facts or truths do not exist. Unlike truths and facts, presumptions are based on faith rather than certainty, and they can be broken when called into question, or strengthened through experience or discourse. Systems of preference can be based on Values, Hierarchies or Loci of the Preferable. Values are ideas or positions that are universal as generalizations, but only have the adherence of some of the audience when applied to specific circumstances. There are abstract values and concrete values. Abstract values become concrete when applied to specific circumstances. An example of this is that "freedom" is a universally acceptable value, but freedom for a convicted murderer would not be universally acceptable. Abstract values are more readily applied to arguments in favor of change, and concrete values are more readily applied to arguments in favor of maintaining current conditions. Value Hierarchies are systems of relative merit either between things which are of different kinds (heterogenous), or things that are of the same kind (homogenous). Arguments based on value hierarchies are similar to arguments based on values, but they are more complex because of the added possibility of heterogenaity. * Loci of quantity - A good thing of a greater degree is better than a good thing of a similar but lesser degree. Example: The needs of the many outweigh the needs of the few. * Loci of quality - The rare is superior to the common. Example: It is better to have one dollar than 50 pennies. * Loci of order - That which is first is best. Example: An original painting is better than a duplicate. The first is an original; any others are merely derivitive copies. * Loci of existing - What is real is superior to that which is unreal or does not yet exist. Example: "The devil I know is better than the devil I don't know." * Loci of essence - That which is closer to the ideal is superior to that which falls short of the ideal. Example: Good service is superior to adequate service. * Loci of person - Favors the value and will of the individual. Example: A free-thinking individual is superior to a controllable individual. By selecting a starting point for an argument, the rhetor is attempting to create presence at that point, an act which draws the focus of the audiences attention to the point of the rhetor's choice within the issue, whether it is concrete or abstract. If the attention is drawn to an abstract starting place, the creation of presence is all that much more important because the abstract may be harder to demonstrate. The creation of presence for the elements of an argument is made easier by establishing communion with the audience, through appealing to common traits, beliefs or relationships between the rhetor and the audience. The rhetor uses this goodwill to selectively steer the audience through the conclusions most beneficial to his or her argument. * Quasi-logical arguments - This can be an argument based on syllogistic assertions likely to be accepted by the audience or by revealing the fallaciousness or contradiction of the opposing argument. A great number of quasi-logical techniques can be employed to create liason. * Arguments that appeal to the existing structure of reality - These arguments detail provable facts and argue that they are the controlling aspects of the situation. * Arguments that establish reality - These arguments use metaphor, analogy and hypothetical situations to establish the order of reality and to persuade the audience to accept that order. Other than connecting a point of agreement to a more highly contended conclusion, a rhetor seeks to address the strengths of the opposition and the weaknesses of his or her own argument. The technique used to do this is dissociation. In the extreme, dissociation becomes paradox. Dissociation - The rhetor can address opposing points of view and associate them with undesirable factors, or distance the favored point of view from undesireable factors. Paradox - a technique that dissociates dissociations to the point where the "real" is cast into doubt. It should not be overlooked that it can be particularly effective to combine complementary lines of argument using different techniques to create a sophisticated whole. Moreover, the way in which the elements of a layered argument are brought together can lead the audience to the desired conclusion skillfully, or overreach and diminish the impact of earlier elements. The rhetor defines his or her audiences, determines the strongest starting point, creates lines of argument along the axis of presence which provides the greatest amount of liason for the rhetors argument and dissociates opposing points of view from the paths of argument that are available to them. Foss, Sonja K., Karen A. Foss, and Robert Trapp. Contemporary Perspectives on Rhetoric, 3rd Ed. Waveland Press. Prospect Heights, IL: 2002. Gross, Alan and Ray Dearin. Chaim Perelman. SUNY Press.